The Outlier Ultrahigh Rolltop backpack has been my office bag for the past year, and it has quickly become one of my favorite bags of all time. Ultralight and minimalist, it’s able to easily transition from beach to urban to office. 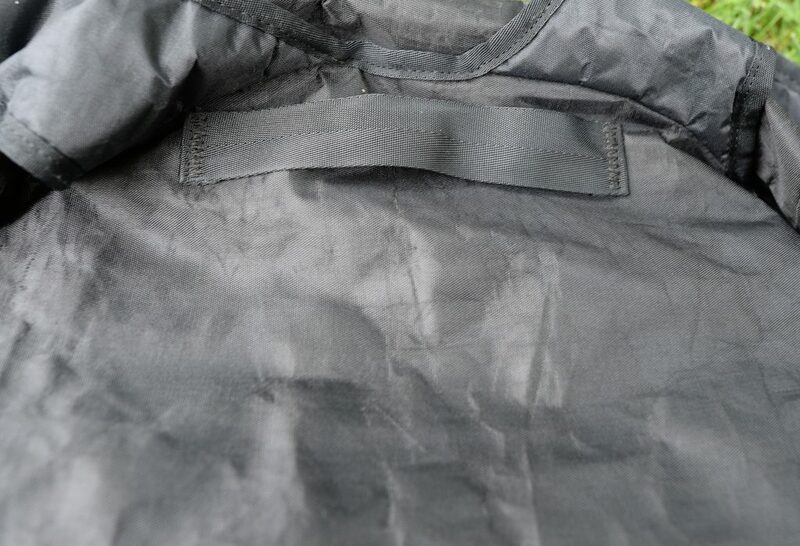 Because of the unique cuben fiber material, this is a highly weather resistant and insanely light backpack that is able to pack down (flat or rolled) inside a larger bag for travel. 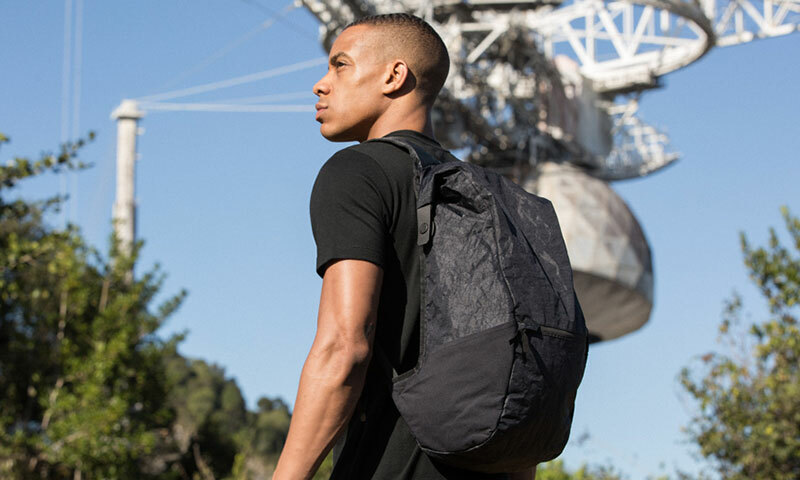 The Ultrahigh Rolltop is a top loading backpack made of what Outlier calls ‘ultrahigh dyneema composite’, more popularly known as cuben fiber. The material is a very interesting fabric. It’s ultralight, yet ultra tough (for its weight class). Apparently, Dyneema is one of the world’s strongest fibers. At a feathery 526 grams when empty, this is one of the lightest packs I’ve ever owned. But despite the lightness, it doesn’t feel flimsy and is nothing like your typical packable, ultra-thin pack that’s usually made of silnylon or other similar material. I’ve never felt the need to baby this pack, and can confidently walk under heavy rain with this on my back. 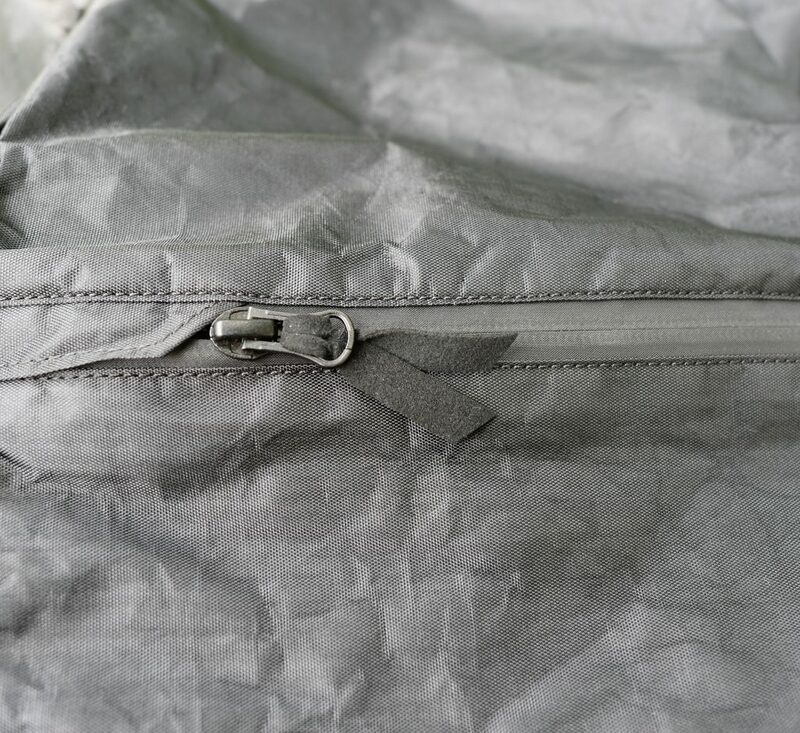 A closer look at the dyneema fabric, and the waterproof zips of the lone external zip pocket. 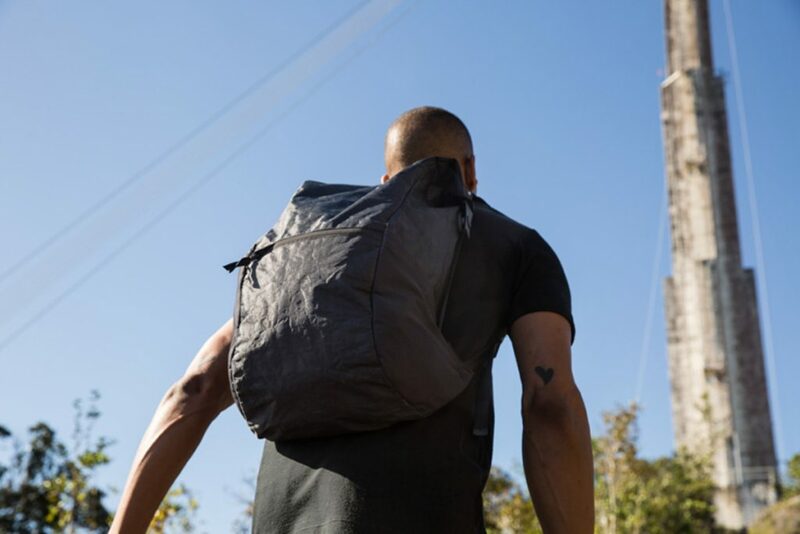 Outlier describes this pack as something you wear rather than something you carry. And in many ways this is true. Especially with a small load or when only carrying the essentials (in my case that would be my wallet; an iPad; a wireless keyboard; an absolutely awesome coffee mug; a rain jacket; my lunch; a 12″ x 8″ tech organizer and; full sized headphones with hardcase) I hardly ever notice it’s there. I can’t emphasize this enough, since this is probably one of the biggest features of this bag and it’s not something you can see in pictures. For everyday carry, or basically any time where the bag isn’t fully loaded with heavy gear, the lightness of this bag is a revelation. The weightlessness means that the bag carries small, but it doesn’t mean it can’t carry a full load when needed. It won’t be my first choice for carrying a really heavy load around all day, but it’s still a great pack for an impromptu grocery run after work because of the expandability. The rolltop itself doesn’t have much roll in it. At a minimum, you can roll it 4 times to where the pack is at about 20L, and when fully open it’s about 28L. You can still close the bag with a single fold, and I’d estimate it to be at roughly 26L max, when closed with a single fold. The expandability of the rolltop section isn’t as big as most as other rolltops, but it’s still very useful. I’ve found the extra expansion to be enough to throw in a down jacket plus a 3-1-1 bag for example. It’s great for those last minute things, like an extra layer or extra purchases at the airport. Despite the minimal expansion, I actually prefer the rolltop design of this bag vs most other rolltop bags. This is because the rolltop closes via magnetic fidlocks on each side and the bag will close regardless of whether you do 1 fold or 4 rolls or anything in between. With other rolltops, you can’t really close them at anything other than the maximum number of rolls. For example, my other rolltop backpack, a Mission Workshop Rambler, actually allows for more expansion via the rolltop, but since it uses a velcro flap to secure the roll I’m only able to close it when rolled to the maximum number of rolls or fully open. I can’t really dial it in and adjust the capacity like on the Outlier. Most other rolltops, you either use them rolled down fully, or complete open with no rolls, there is no in-between adjustment. The magnetic fidlock closure of the rolltop. 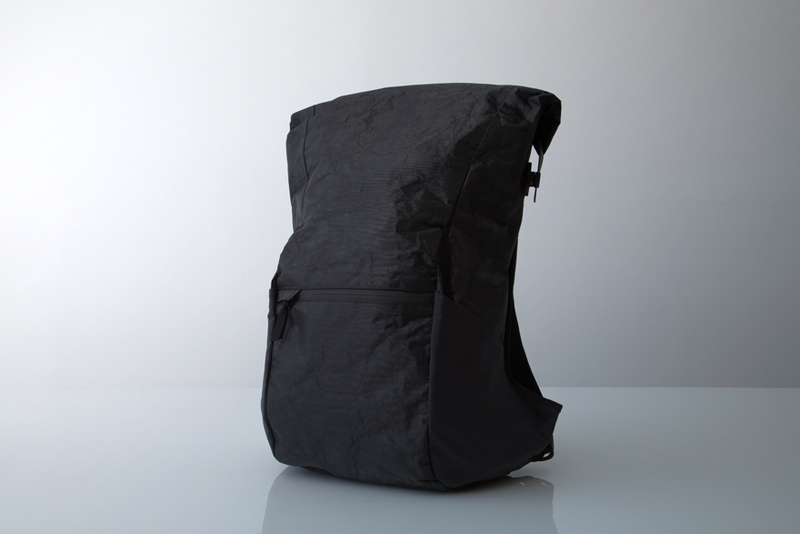 Even when filled to capacity, and closed with just one fold, the Outlier pack is very secure and carries very well. The lightness of the material really shines through here. The bag carries small even at its maximum closed capacity (i.e. when closed with just a fold). This is also a really nice looking bag. It’s very distinctive looking, in a very low key sort of way. I know that sort of sounds like a contradiction – but basically, it’s a bag that people notice up close, because the material is unusual, but at the same time, the overall design of the bag is very subdued, that it doesn’t draw attention to itself. Typical of Outlier, there is no logo or branding anywhere. This slip pocket also houses a light weight armordon frame sheet which helps with distirbuting weight across the back, and also gives the bag a bit of structure. The framesheet is removable, but I generally prefer keeping it in there, as it stops the contents from poking my back and it weighs next to nothing. Molle attachment points on the strap. This lack of internal organization isn’t really a problem for me, as I like having the flexibility of having one main compartment to do with as I see fit. I like coming up with my own organizational system, and I’m not normally a fan of packs that force you to put your pens or cellphone in specific slots or come with a dozen pockets that you don’t really need. Most days, all I need in there is a tech organizer for cables and chargers and a few hard shell cases for my camera. My iPad and keyboard fit right in the laptop pouch. When used as a travel bag, I use these ultralight packing cubes from Eagle Creek and some carabiners to attach pouches to webbing loops on top of the laptop/tablet pouch. The external zip pocket is nicely sized. I’m usually able to fit my wallet, cellphone, a power bank and hand towels. The front pocket can actually fit an iPad mini. The inside of the pocket is made of stretchy material, so when the pocket is filled it will take space from the inside of the pack. Some people don’t like this, but I actually prefer this design. I’m not a big fan of pockets that bulge outwards as they get filled. This design results in a cleaner aesthetic and is better for security reasons as well since it won’t give the appearance of a bulging pocket when full. It’s closed with a water resistant zip, and there is a garage for the zipper pull to help with weather resistance. The weakest point of the bag – the hidden top handle, is just a bit too minimalist for my taste. The top handle is definitely the weakest point of the bag. It’s barely there, probably in line with the whole minimalist design of the bag, but this is one area where I wish Outlier had opted for more. Taking the bag off my back and trying to maneuver it while in a packed subway car during rush hour in Tokyo or Hong Kong, the tiny and almost hidden top handle was definitely lacking. I ended up just dropping the bag on the floor and sort of gripping it between my legs. The external side pockets are another weak point. In my opinion they’re cut a tad too low. They hold my water bottles just fine, but they just never feel 110% secure to me. While I’ve never actually lost anything I’ve placed in these pockets, I’m also constantly checking and worrying about items falling out. I’d never put anything of value in there. I think if they were 2 inches taller, the side pockets would be a lot more useful. The material is a very noisy fabric, it sort of sounds like you’re crumpling one of those heavy duty shopping bags, if that makes any sense. When I’m trying to make my escape from the office at the end of the day, the people in the cubes next to mine know when I’m packing up because of the sound it makes. The material also wears over time. It won’t fade or patina like waxed canvas, but it will show creases and folds. This is great if you want your bag to show character, and perhaps some battle scars. But if you’re the type who likes a pack to look new all the time, this isn’t for you. It’s also very easy to clean. I accidentally spilled some coffee on my bag once, and I just needed to wipe it off with a damp cloth. Took less than 2 minutes to clean. My other bags, I would need to wash them if that happened. Personally, I’m surprised at how much I ended up loving the material. I’m also definitely a huge fan of the overall look of this bag. I find it extremely versatile – able to go from urban to beach with no problems. It will also have no problems fitting in in a casual office environment. This pack is also great for an ultralight traveler who wants a true one bag set-up. That is, if you want a single backpack to carry all your stuff that will also serve as a day bag when you arrive at your destination. The expandability of the rolltop also lends itself well to travel. Pack it down to its minimum 20L configuration, then slowly adjust the roll as you buy gifts and souvenirs. It’s great for a security conscious traveler. Because it’s a rolltop, the only zip on this bag is on the lone external pocket. Because it has no logo’s, and because of the overall design, this is a bag that just blends in. You won’t look like a tourist or traveler – just another local with a backpack. But it is still a rolltop with only one external pocket, if you need to get in and out of your bag several times a day, this isn’t the pack for you. There is also no chest strap. In daily use, I didn’t miss a sternum strap, but you can certainly add a third party chest strap if so desired. Outlier makes the Molly sternum strap, but it isn’t always in stock. But molle compatible third-party chest straps should work. You want an urban EDC bag to be weather resistant and minimal, and the Outlier pack definitely fits the bill. Yes, it’s pricey, but it doesn’t really have much competition. You can get weather resistant, and even waterproof packs for less. You can get minimalist, urban rolltop backpacks for less. And you can also get ultralight backpacks and rucksacks for less. 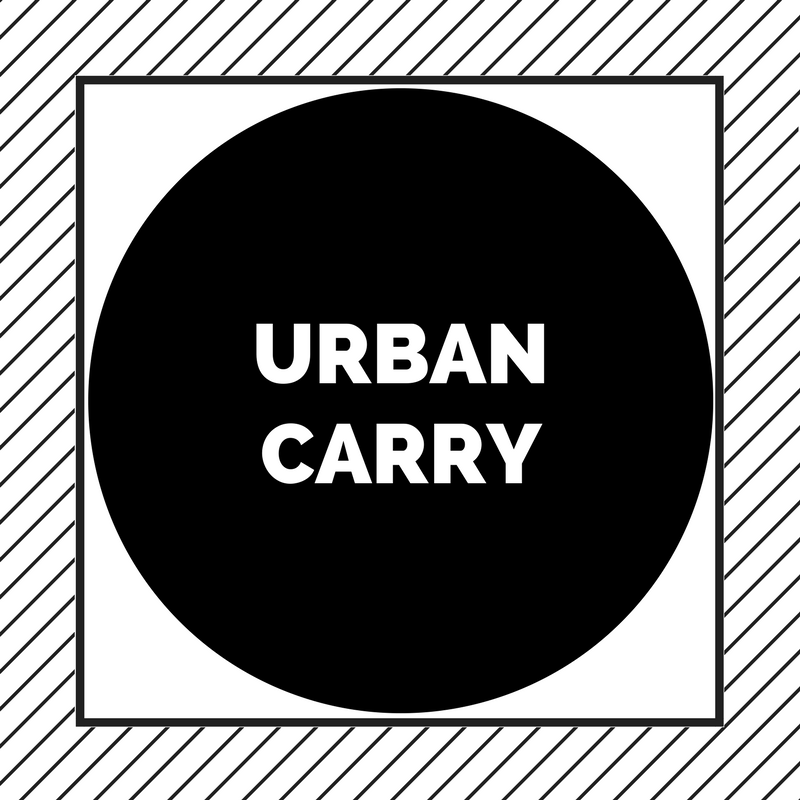 But for a pack that combines all three in a very well dialled-in and very versatile urban-friendly design, there’s just isn’t any competition out there. 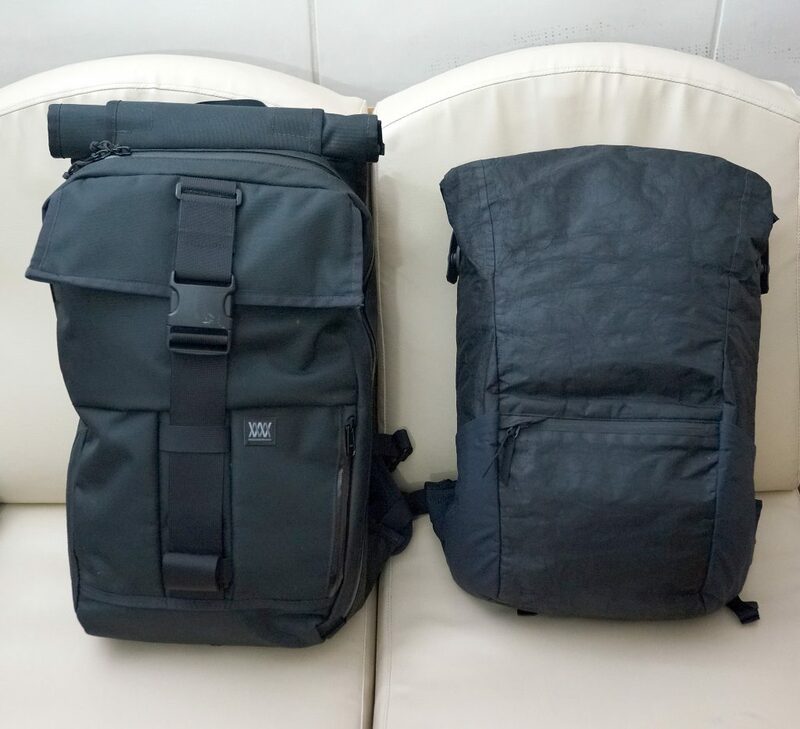 Here you can see the Outlier Rolltop next to another rolltop with a completely different design ethos – the Mission Workshop Rambler (this one is burly and heavy and the rolltop isn’t as adjustable). Hey – great review. Really the only comprehensive review outside of reddit, so kudos. I’m considering buying this bag, and am particularly interested in your comparison thoughts between it and the Rambler. I had and loved a Rambler for many years, so I know the ups and (few) downs that come with its ownership. Hey, thanks a lot! I’d give a slight edge to the Ramble for durability, although I’m not sure whether that’s because the Rambler really is tougher, or if it just **feels** like it is. The Outlier dyneema just feels less tough, but I don’t know if it really is, or if it just feels like that because it’s so light and is much thinner than e.g. nylon or cordura. I don’t really baby my Outlier, and I’ve never had any problems with it. e.g. I drop it on the floor of the subway; slide it across the floor of a hotel etc.. But for example, if I were flying and were forced to check my carry-on – I’d feel better about having the Rambler. I’d have no problems checking the Rambler (save for potential damage to the back mesh), but I’d probably not want to check the Outlier at all. But outside of that, I’d say the Outlier should be able to handle 98% of what the Rambler can handle, durability-wise. Although overall, as a daily bag, I much prefer the Outlier if only because of the external pocket. Because the inner material is stretchy, I can really fit a lot of stuff that I need quick access to – e.g. plus size phone, aluminum Secrid wallet, handkerchief etc… The outside pocket of the Rambler on the other hand… the only thing I ever manage to put in there is a subway card, I can’t fit my wallet or a plus sized-phone (although I think Mission Workshop just came out with a real cell phone pocket for the Arkiv system on the Rambler), but personally I’m not a fan of having stuff attached to my straps, I’d rather have a larger pocket.